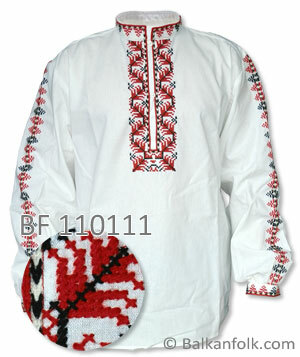 Men’s embroidered shirt from the Shoppe region of Bulgaria with traditional Bulgarian embroidery. The shirt is made of white cotton cloth. Time to make a shirt is 30 days.